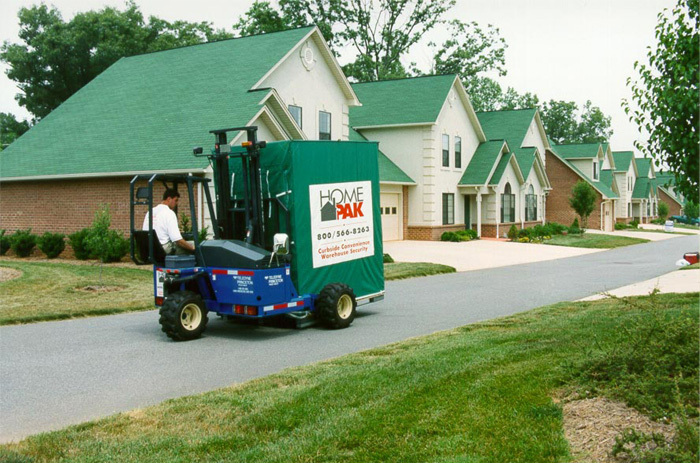 The Princeton PiggyBack® Delivery System is a key component in the revolution of the moving and storage industry. For years, the only consumer option for additional storage was to rent a small garage with the traditional self storage industry. Now, a truck and a PiggyBack® are bringing a whole new dimension to storage. Or, if you are a moving company, can add another profit center to your existing facilities. You deliver a wooden or metal box (typically 5'x7'x8') to the customers drive way or car port. The customer can access their container after appointment, many different access options are used. There are many entrepreneurial success stories with this form of storage. Please contact us for details. Princeton offers models tailored towards the demanding needs of the moving industry.